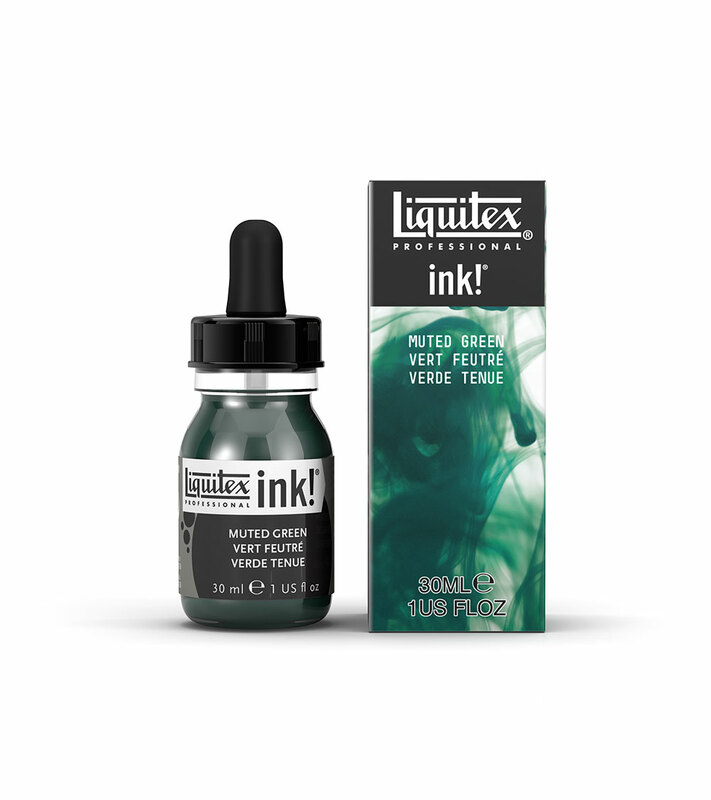 Liquitex acrylic ink is professional grade, highly pigmented extra fluid and with superior water resistance. 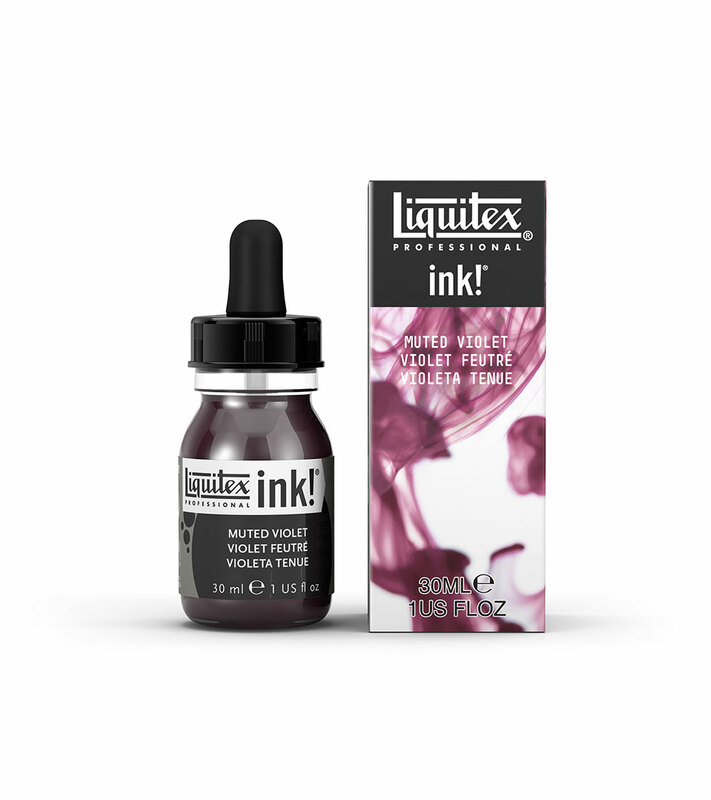 Liquitex Inks are extremely fluid, water resistant, permanent and so lightfast they’ll go down in history. Ideal for airbrushing, watercolor effects and screen-printing, you can water the ink down, stamp it, or use it seamlessly with any other Liquitex product. 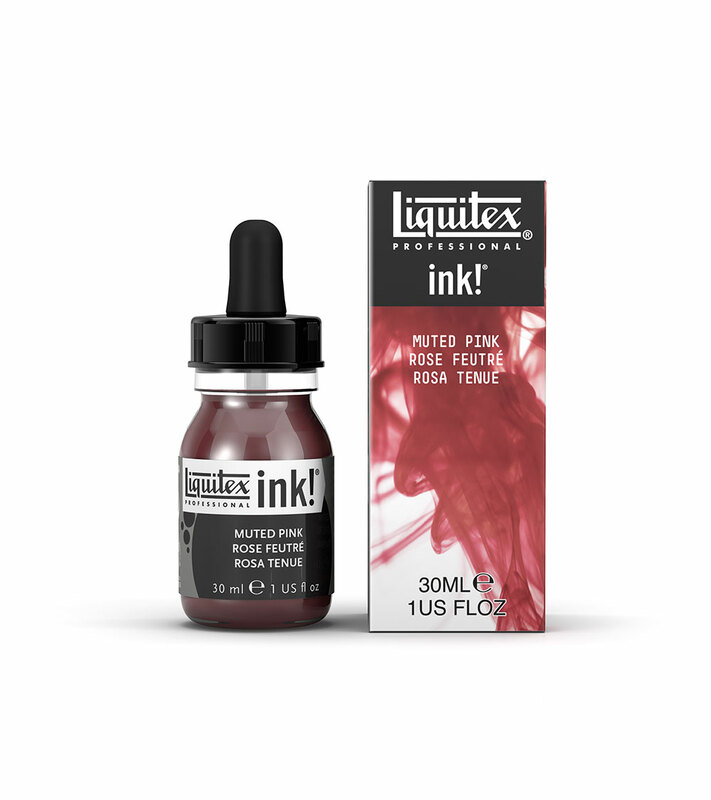 This is the first time Liquitex has introduced a colour collection! 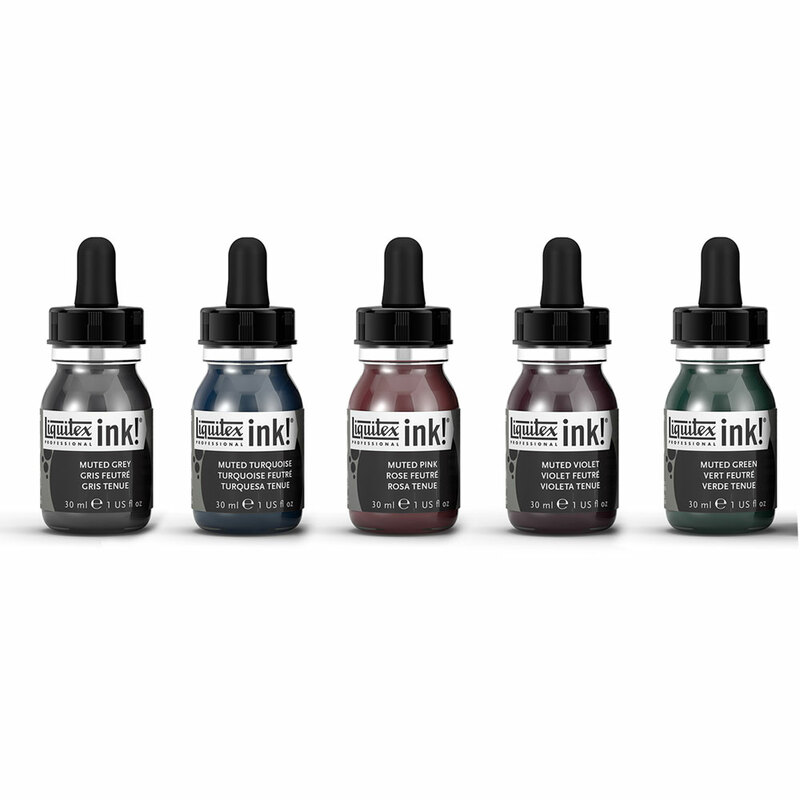 These unique tones have been inspired by 2016 trends. Each colour has a muted, subtle character and together are a tonal palette. Read more about the Liquitex Muted Collection.